When Cara Huntley and Junior Novas tied the knot Nov. 25 at the Belfair Clubhouse, they knew they wanted it to be an elegant event — and as stress-free as possible. After all, the Marine couple had enough stress in their lives: They met online in 2010 thanks to the help of mutual friends, and even though sparks flew, there were obstacles to overcome — like the literal oceans between them. 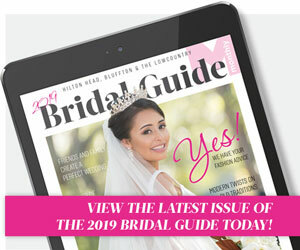 Our 2018 Bridal Guide will soon be fresh off the presses! 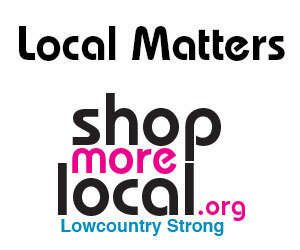 Be the first to know the latest trends, tips, and local vendors - brought to you by our team at Hilton Head Monthly. The humidity may be starting to dissipate (or will soon, we promise! ), but love is always in the air on Hilton Head Island. The area’s natural beauty, endless amenities and five-star resorts and clubhouses offer brides and grooms from near and far the perfect place to get hitched. No matter where you’ll be standing when you say “I do,” there are tons of trends to take into consideration — or just use as inspiration — that shift a bit from season to season. Here are some of the top wedding trends for fall 2017 to help create the vision for your perfect “first day married!” celebration. A few notes on etiquette for the out-of-town bride. You know you live in a beautiful area when it’s on the list of top destination wedding sites in the United States. Brides from Maine to Michigan choose the Lowcountry as the locale for the most important day of their lives, and with that decision comes a significant amount of special circumstances and unique wedding planning decisions. Every wedding has the opportunity to become the bride and groom’s work of art. For Katherine Palmeri, that goal was taken literally. The artist hand-painted all of her printed materials, then worked with the pros at Savannah Print Factory to digitize her artwork and design the invitations, save the date cards, table numbers, menu cards, place cards and every other bit of paper for the weekend. There’s no doubt that tiaras are guaranteed to make you feel (and look) like a princess on your wedding day. Whether you opt for a full-on sparkly headpiece worthy of a true blooded queen, or you prefer a subtler design more akin to a bejeweled headband, rest assured there is a bridal tiara out there to suit your personal style. Submit an engagement photo for a chance to have your wedding featured in an upcoming issue! All of the engagement photos we receive will be posted to our Facebook page, and you can vote for your favorite couple using “likes” Monday, July 3rd through Monday, July 17th. The couple with the most “likes” will have their wedding featured in an upcoming bridal section. Submissions will be accepted through June 30th.